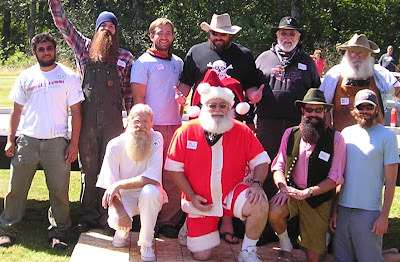 The recent Joyce Daze Blackberry Festival in Joyce, Washington, featured heated competition in three categories of facial hair -- moustache, goatee, and beard. The most noteworthy competitor of all was Daniel Baker, age 14, who took third in the goatee category. Beard Team USA managed to podium both in the beard category and cowpie bingo. That's it, Rickey's growing a beard. Wish him luck.